Teddy Bears can be made in 4 sizes: 26", 20" 16" and 11". Your fabric or mine. With or without eyes, nose and mouth. Ribbons, vests, hat are additional cost. 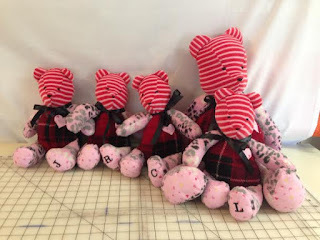 11" Teddy Bears for special children. 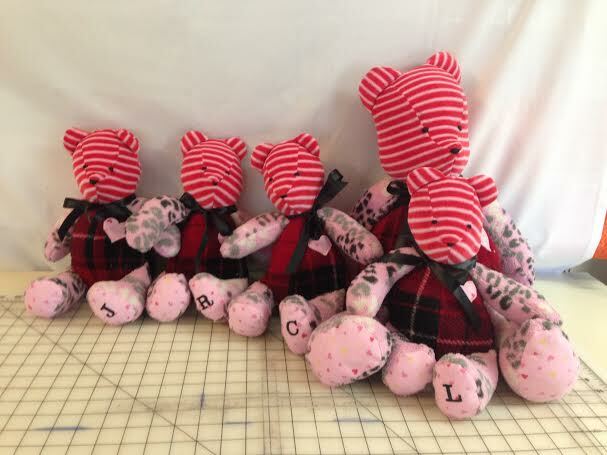 Teddy Bear family for a customer's friend who lost their mother. 16" Teddy bear made from a boys t-shirt. 16" Teddy Bear made from a little girls t-shirt. 16" Teddy Bear made for a little baby girl. 16" and 11" Teddy Bears for special little ones. 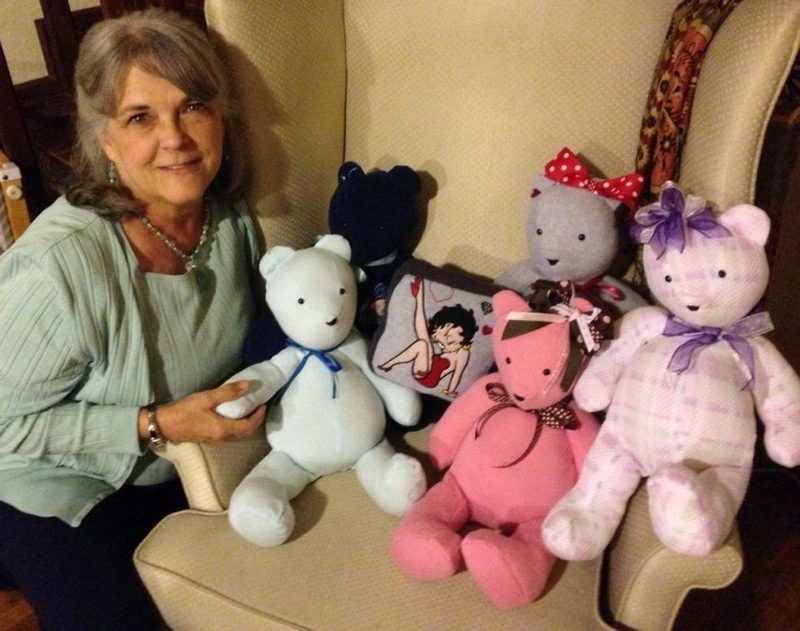 Teddy Bears made for grandchildren from grandmother's clothes. 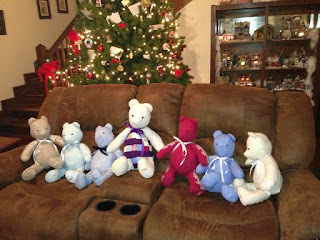 20" and 26" Teddy Bear family made from a dad's shirts for the grown children and wife. 11" Teddy Bears made from a grandmother's robe for the grandchildren.